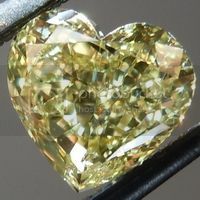 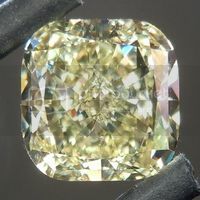 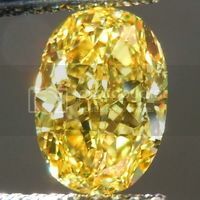 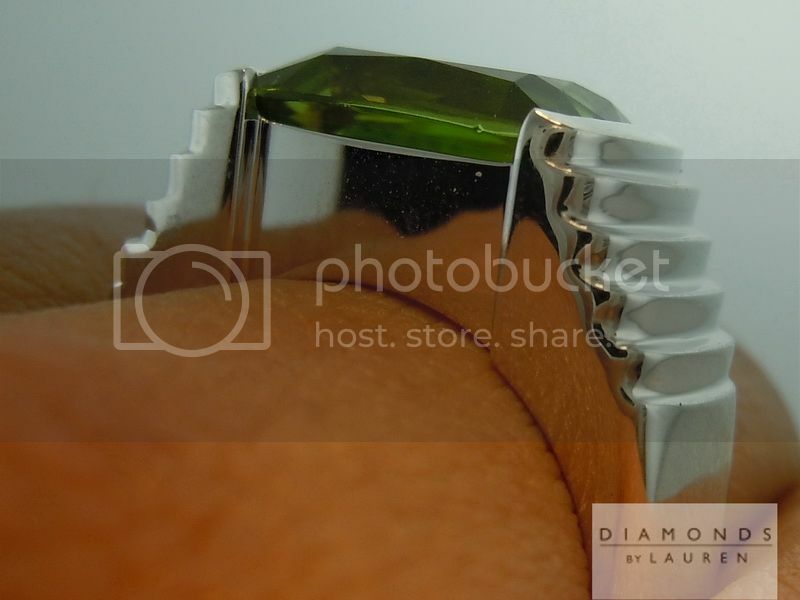 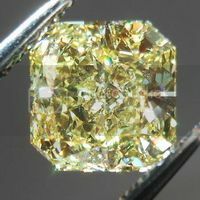 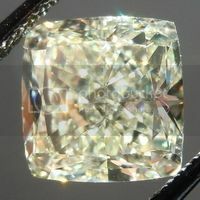 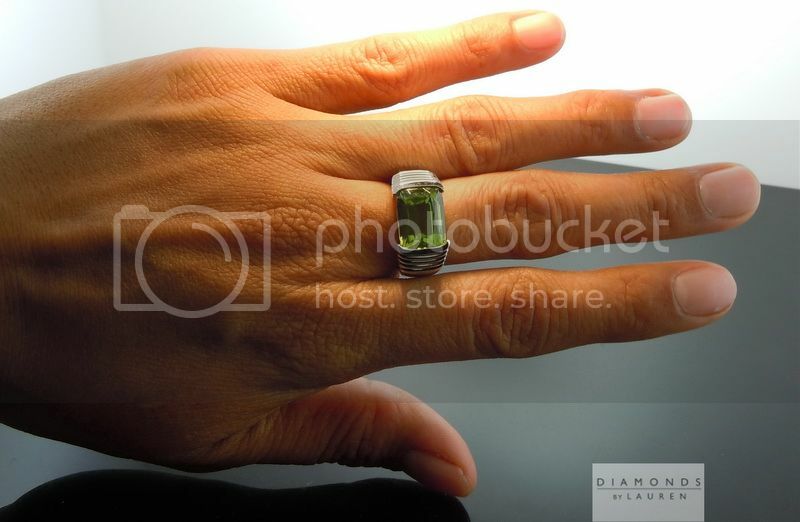 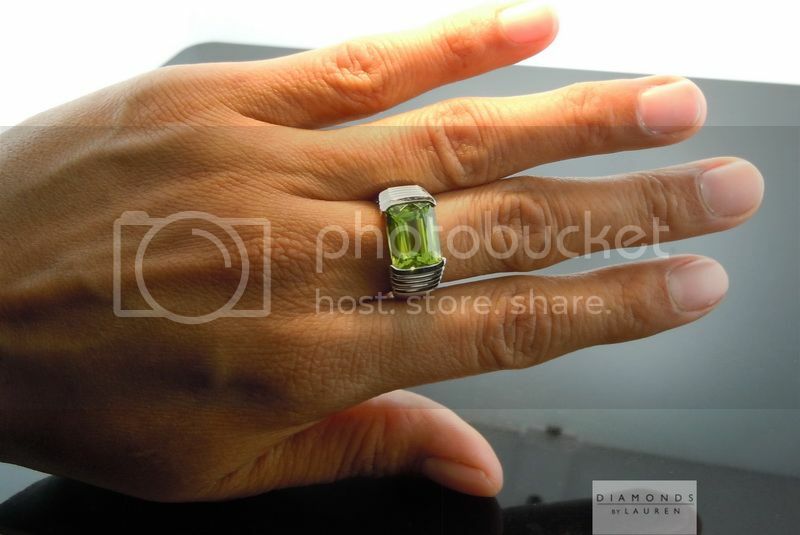 Here is a gorgeous Cushion Cut Peridot. 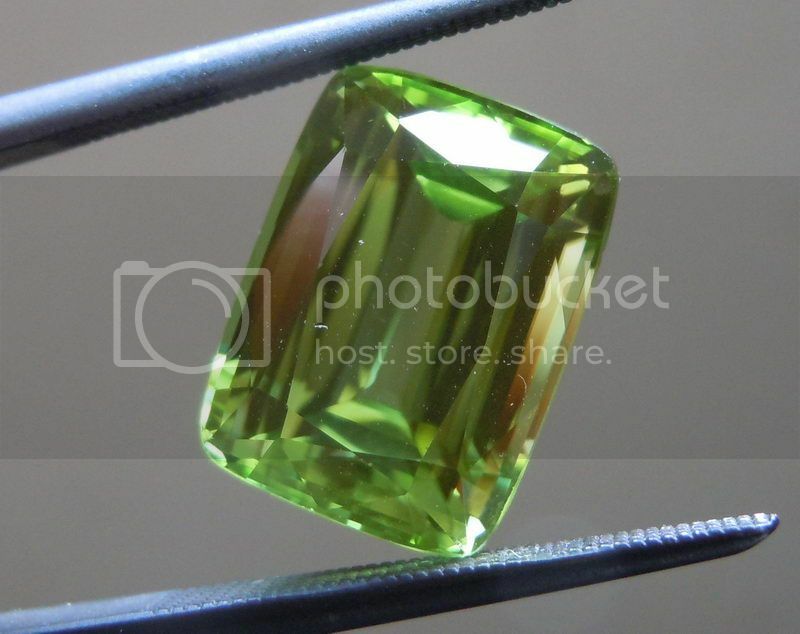 The origin of this stone is Burma. 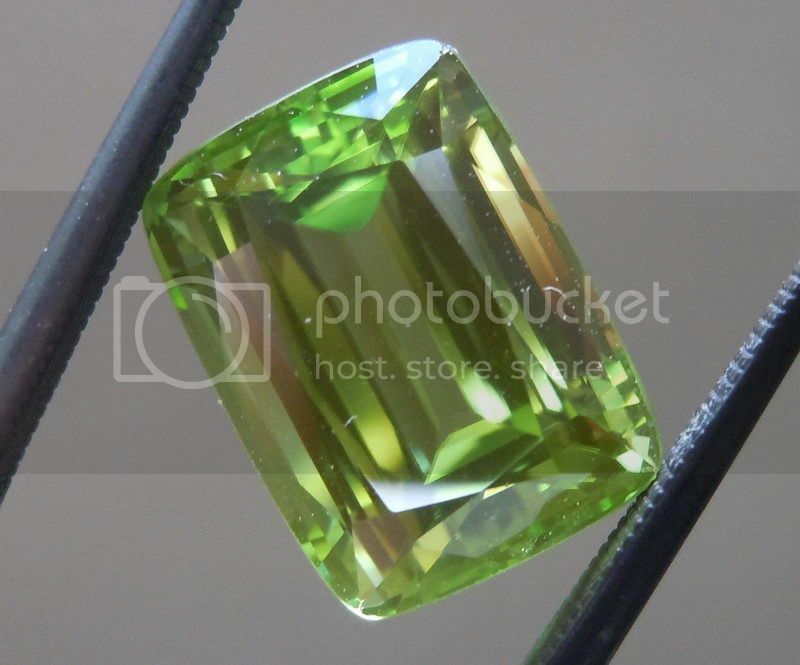 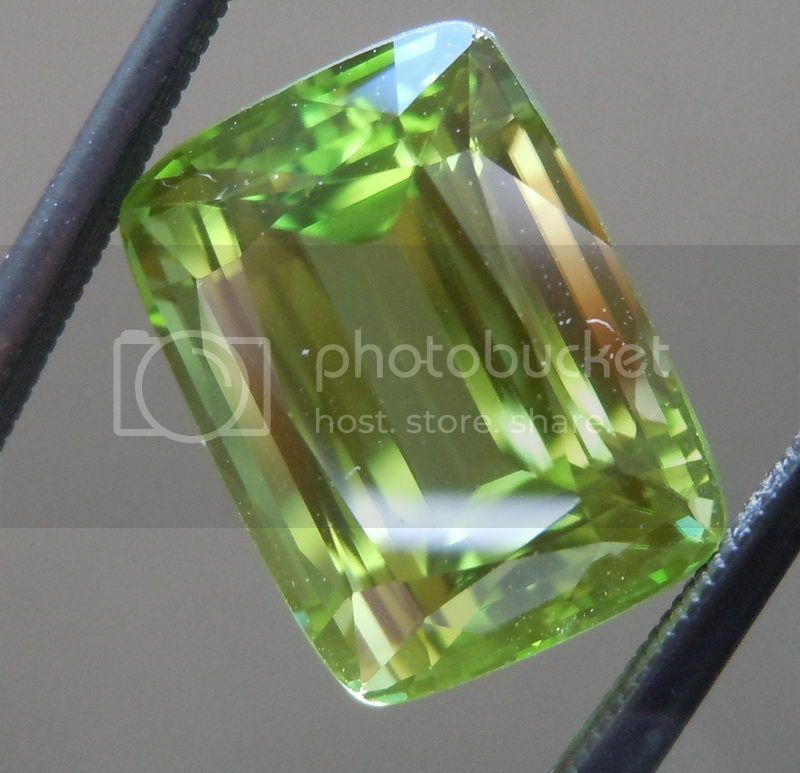 This peridot is just beautiful in terms of both cut and brilliance. 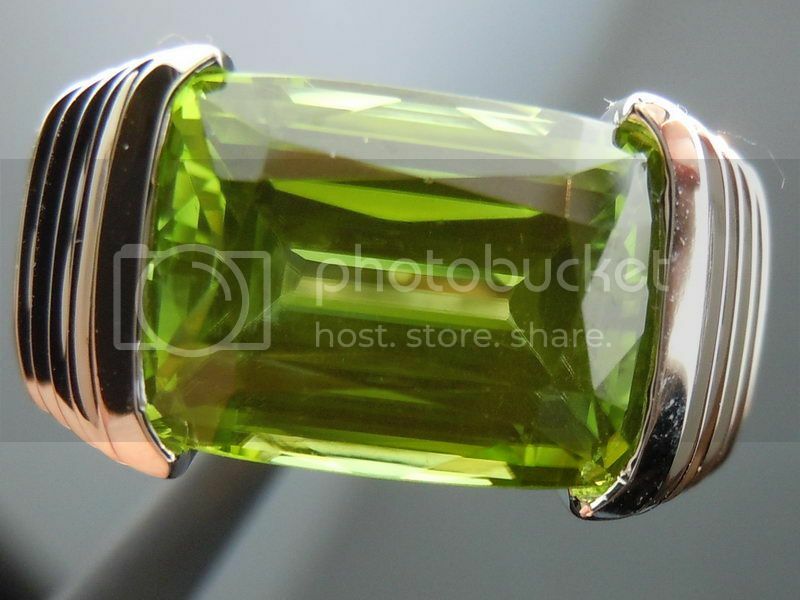 It has a beautiful color that looks amazing set. 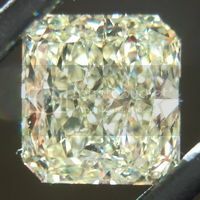 The stone has not been treated in any way. 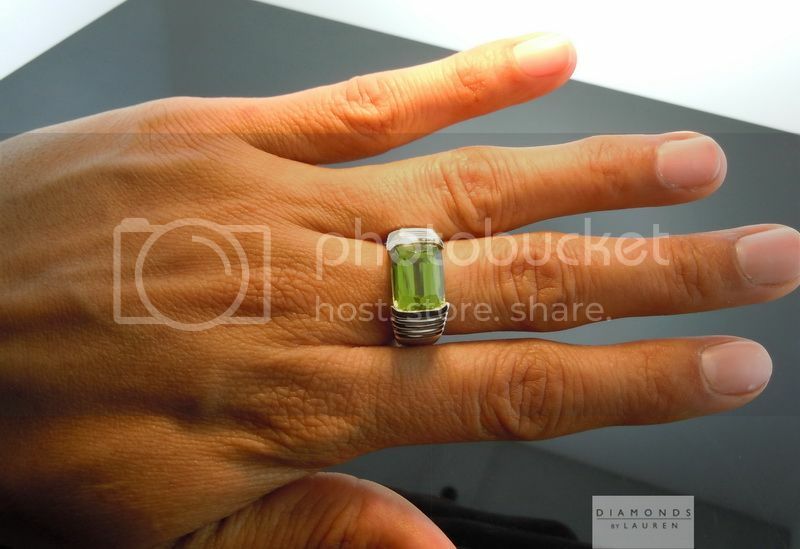 A bold gemstone like this peridot calls for a bold ring such as this one. 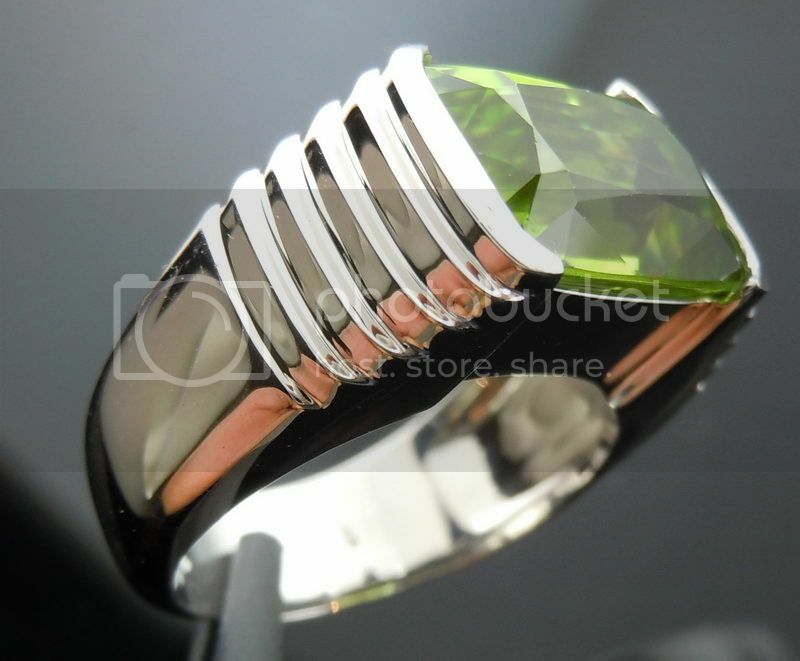 This ring is amazing and has a wonderful feel to it. 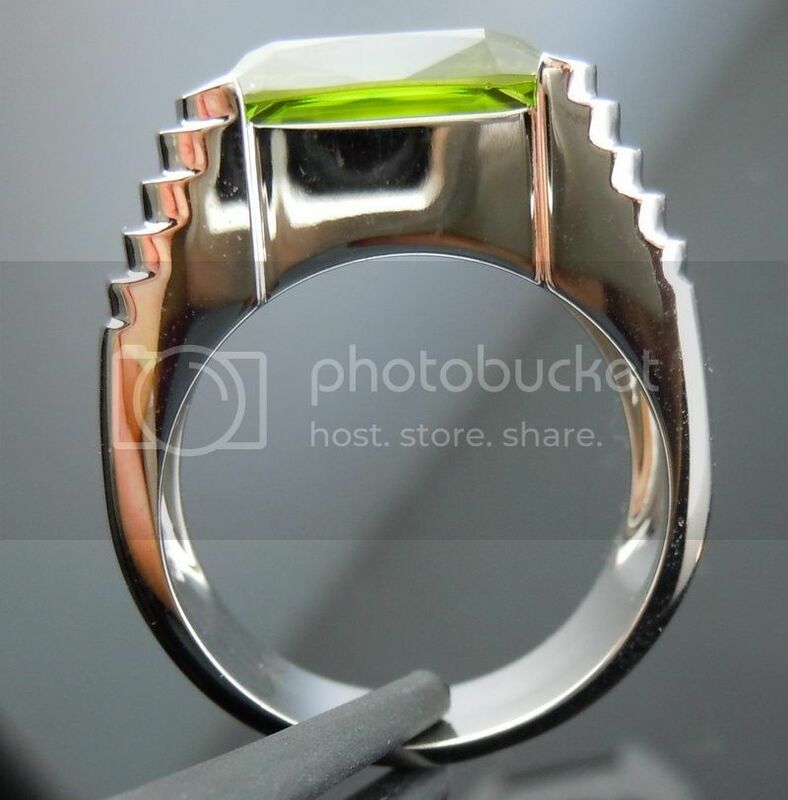 The little "steps" down the side of the shank add a wonderful texture to this ring. 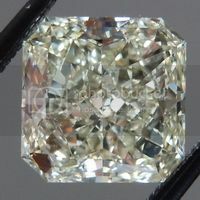 The finish is impeccable - very smooth. 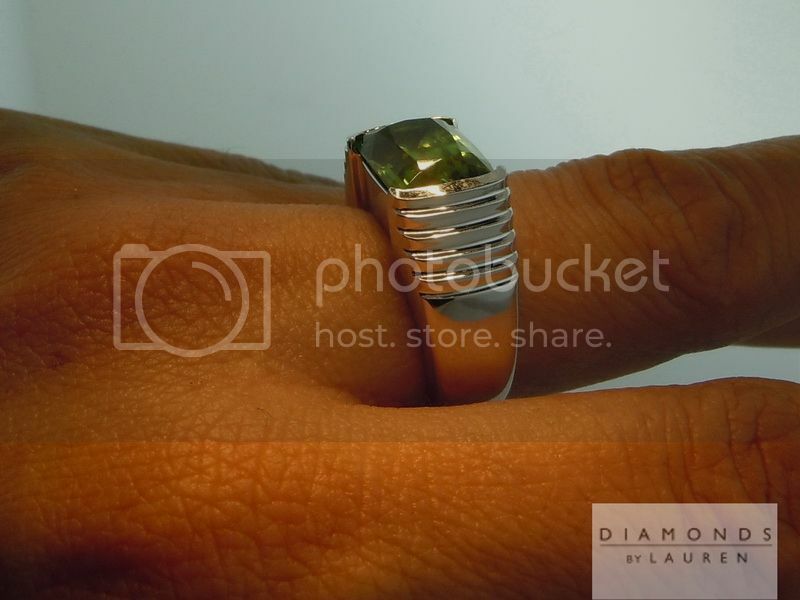 This ring will make a wonderful statement piece to be enjoyed for many years to come.